UPDATE: This story has been debunked as false. Please see this story for the most recent updates. 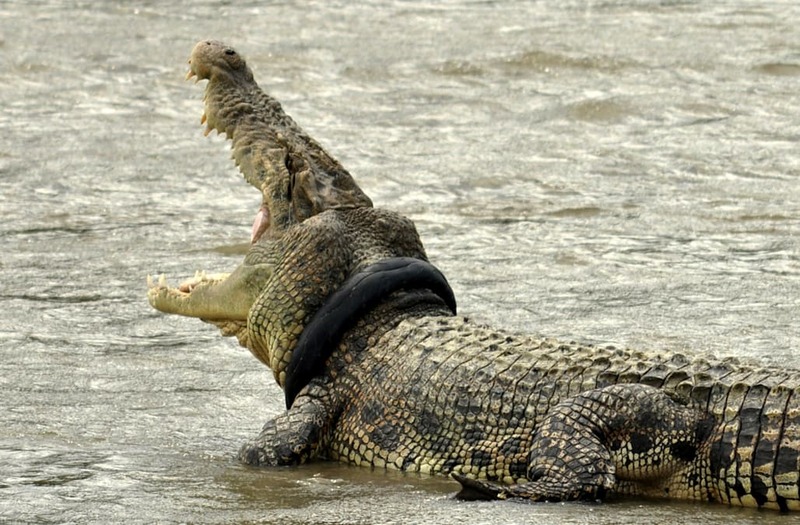 A pastor in Zimbabwe was reportedly eaten by crocodiles when he tried to recreate the biblical scene of walking on water. According to Zimbabwe Today, Jonathan Mthethwa with the Saint of the Last Days Church attempted to perform the feat in a water body nicknamed Crocodile River which is known to be infested with the reptiles. He is said to have walked about 100 feet in when three crocodiles started attacking him. According to the Daily Post, Deacon Nkosi, a church member, reportedly said, "They finished him in a couple of minutes. All that was left of him when they finished eating him is a pair of sandals and his underwear floating above the water." Nkosi is also quoted as saying, "We still don't understand how this happened because he fasted and prayed the whole week." Emergency crews reportedly arrived within 30 minutes, but it was too late.